There is something about the psychotic, the woman said. What? I replied. That time when man entered a wall lacking an outer wall. The insulation was all that remained. There, they found a box of matches. The note inside the box said "Hey, time". It´s a society in which everyone eat medicine. Every day. They pile the pills on top of each other, side by side, to build a wall where the outer wall once stood. 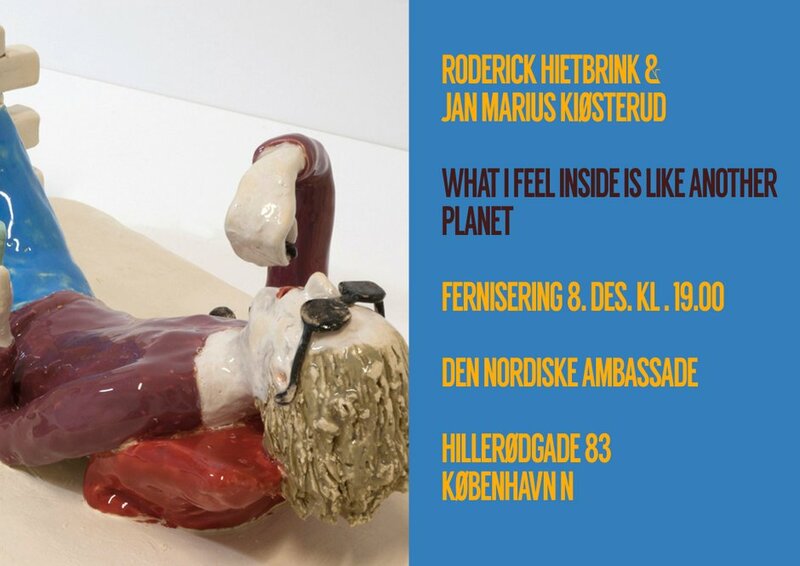 The exhibition What I feel inside is like another planet shows works by Roderick Hietbrink and Jan Marius Kiøsterud. These two artists meet in a love for the theatrical while at the same time attempting to take care of something intimate and present. Roderick Hietbrink is a visual artist from The Netherlands, living and working in Oslo and Amsterdam. He studied at the Academy of Fine Arts St. Joost in Breda and finished his masters at the Piet Zwart Institute in Rotterdam. 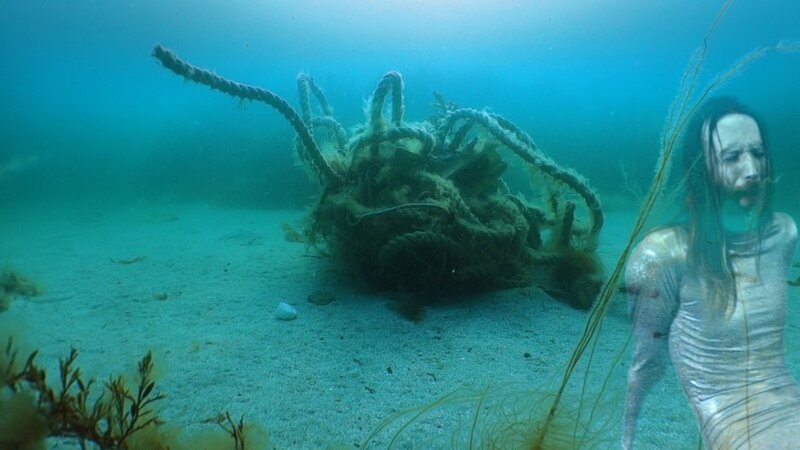 Works by Roderick Hietbrink has been featured in solo and group exhibitions at the 5th Moscow Biennale, Stedelijk Museum Amsterdam, De Appel Amsterdam, LIAF Biennale in Lofoten Norway and UKS Oslo. Hietbrink's practice encompasses video installation, cinema, performance, objects and photography. He places day-to-day concerns within surreal, sometimes uncanny settings that are both endearing and humorous, while at the same time painful and sad. With his practice he questions and explores different aspects of the psychological and inherent conflicts between the rational and instinctive self. In the exhibition What I feel inside is like another planet Hietbrink is showing the video work Slime is the agony of water. It is the first time he exhibits in Denmark. Jan Marius Kiøsterud is a Swedish/Norwegian visual artist based in Malmö. He studied at the Kunsthøgskolen i Oslo, Det Jyske Kunstakademi, Aarhus and Konsthögskolan Valand, Gothenburg. 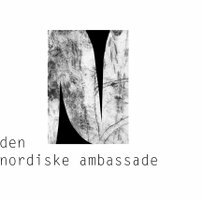 His practice consists of sculpture and performance, which is combined in the ceramic sculptures displayed at Den Nordiske Ambassade. The sculptures consist of small situations based on Kiøsterud’s own everyday life and what he as a white, Western man represents in a global and feministic context. The situations have apparent references to a craft tradition consisting of trinkets made of porcelain. This is combined with political issues, relevant discourses, and the experience of being a human being, with certain elements of the absurd. As a part of the exhibition Kiøsterud also presents a text written as a paraphrase of the project, by the author Eindride aka Endre aka ødifløtePu$$y.